Things are not getting easier for the Pittsburgh Steelers. 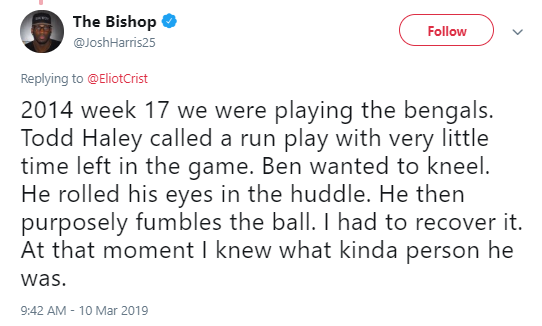 After moving on from Le’Veon Bell and Antonio Brown, former Steelers Josh Harris has pointed out a play in 2014 where Ben intentionally fumbled to send a message to former offensive coordinator Todd Haley. On this episode I look at how Ben Roethlisberger is the biggest problem with the Steelers and why we should look at him more closely.